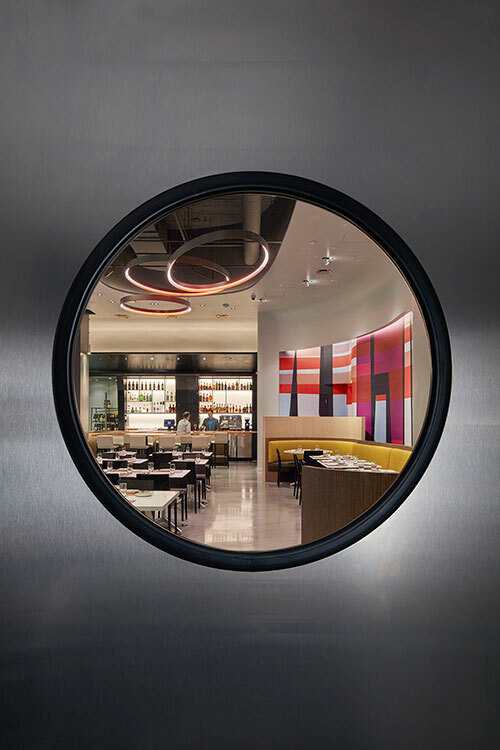 Reflecting the streamline modernism of the automotive museum Drago Ristorante at the Petersen Automotive Museum brings classic contemporary Italian fare to Museum Row. 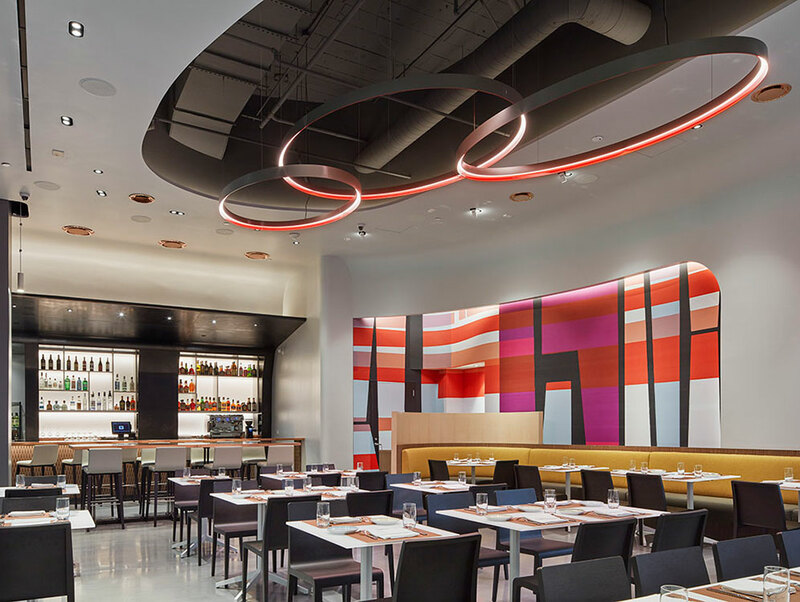 Drago Ristorante mixes swooping lines; hammered steel; a bright red, fuchsia, orange, black, and white custom mural by Stanley Felderman; minimalist white tables; and a long banquette for a modern feel. 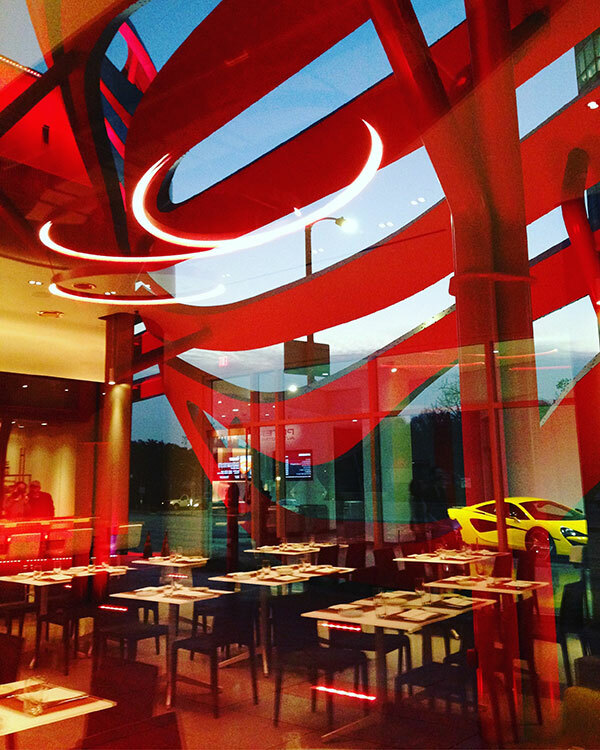 The open design allows diners to view the latest cars on display in the lobby. 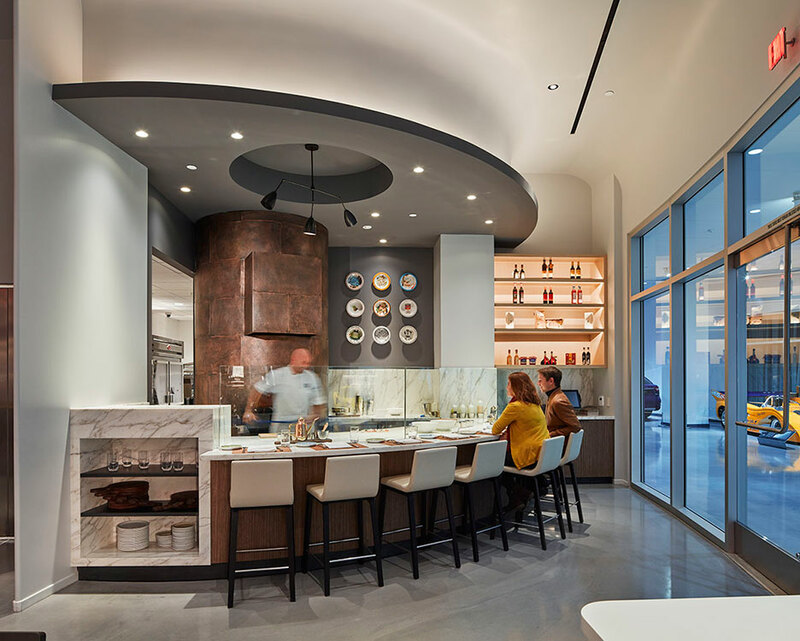 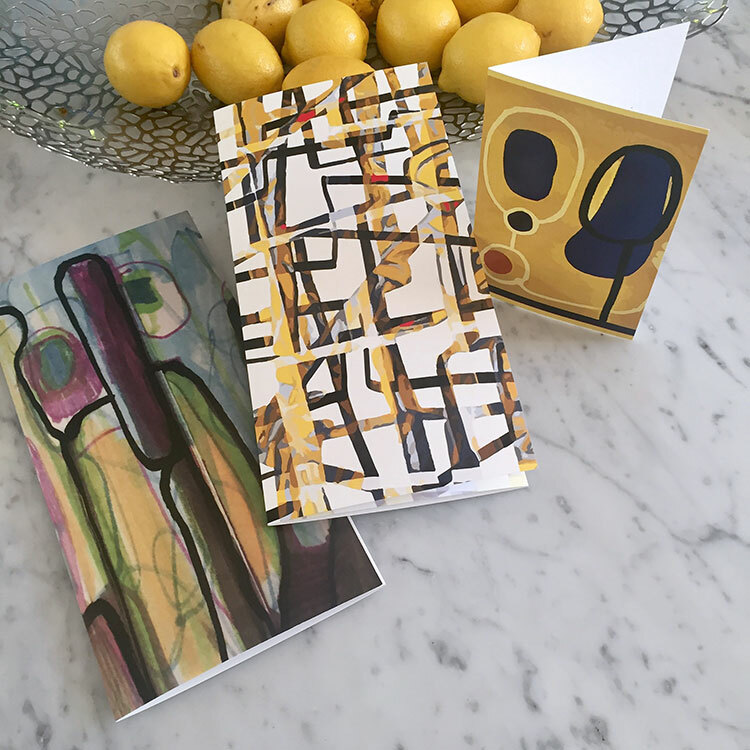 Just as the cuisine of Drago melds together traditional and contemporary Italian cuisine, the design of the restaurant makes reference to the classic streamline modernism of the automobile and the contemporary need for comfort and intimacy. 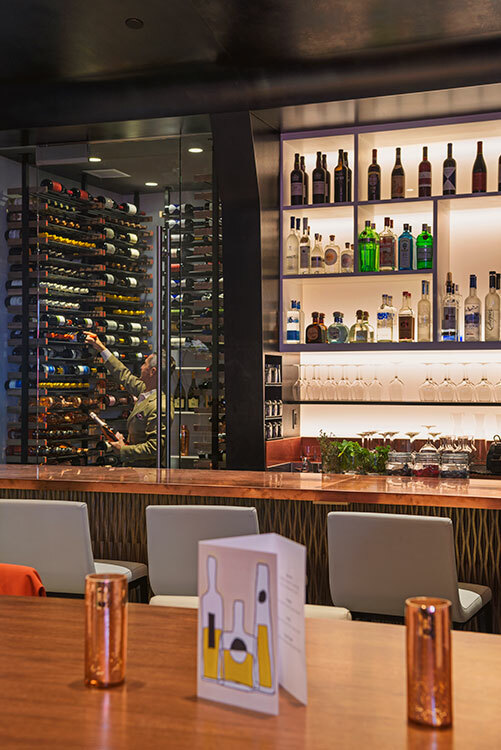 Drago is the vision of rugged designed met with soft, fluid lines. 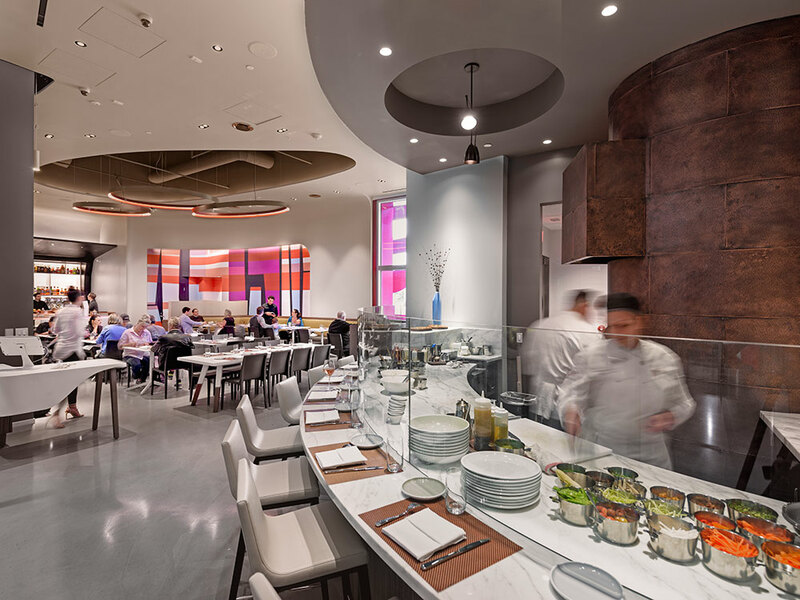 With the intonation of modernism, minimalism, a bright color palate and the presence of copper, steel and refined finishes, The design of the restaurant reflects the refinement of the museum and the bright, cold colors invite guests into a far more uplifting environment in the midst of the urban city.